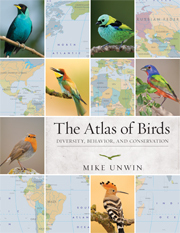 This atlas captures the breathtaking diversity of birds, and illuminates their conservation status around the world. Full-colour maps show where birds are found, both by country and terrain, and reveal how an astounding variety of behavioral adaptations — from flight and feeding to nest building and song — have enabled them to thrive in virtually every habitat on Earth. Maps of individual journeys and global flyways chart the amazing phenomenon of bird migration, while bird classification is explained using maps for each order and many key families. The maps are supported by an authoritative text that uses the very latest data and case studies from Birdlife International. Packed with stunning photos, original diagrams and imaginative graphics that bring the numbers to life, this book is a visual treat and a timely insight into perhaps the most colorful and intriguing group of organisms on our planet. This is a fascinating synthesis of many aspects of the world’s birds. Looking at everything from conservation and extinction, through to migration and man’s relationships with birds. Who should buy this book? Who will really read it? The answer is everyone... You name the interested or idle moment and this book is perfect. A fantastic book. I particularly like how Unwin incorporates so many graphics to visually illustrate the points he is trying to make. 'This is a rich overview of birdlife worldwide... Its vast coverage and succinct, accurate summarizations of important data make it an indispensable reference. This beautiful, informative resource is highly recommended. 'The design and layouts are creative, attractive, and engaging, and neat factoids and statistics richly punctuate the entire book. Rarely have I seen a book of this caliber. I recommend it highly. 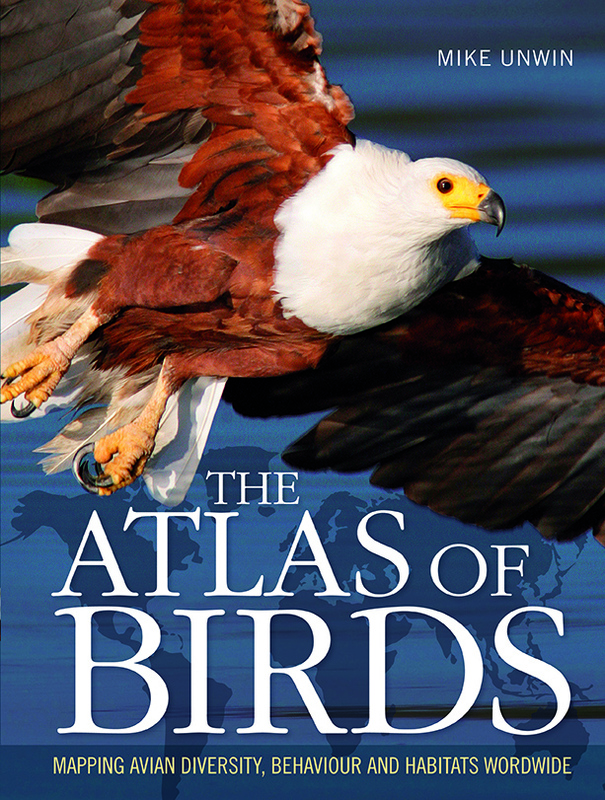 This is a fascinating synthesis of many aspects of the world’s birds. Looking at everything from conservation and extinction, through to migration and man’s relationships with birds. The atlas would make an brilliant Christmas present for enquiring minds, appealing to older children right through to adults keen to learn more about birds and the wider context of birds in history and geography. Who should buy this book? Who will really read it? The answer is everyone. This book is ideal for the bird lover, the student who wants to learn how to write, and the coffee table. It's perfect for the auto repair shop, the doctor's office, and the dentist's office. You name the interested or idle moment and this book is perfect. But here's where I think it really shines - in the bathroom. I don't say that in the least derogatory - just the opposite. Whether we like to admit it or not, some of the most meaningful reading is done in the privacy of the 'loo'. 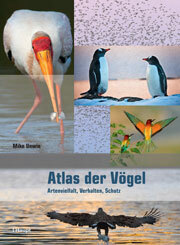 The Atlas of Birds is a must. Mr. Unwin has done himself proud. 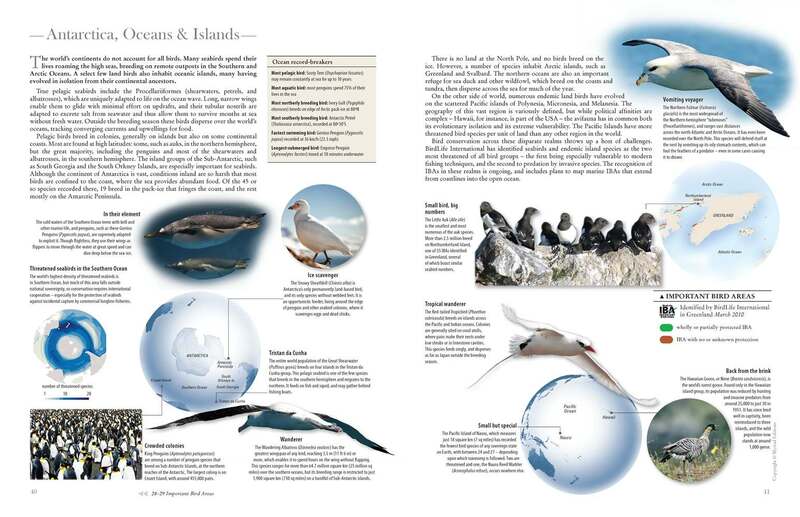 The Atlas of Birds does a fantastic job of giving a brief summary of a topic, but also providing enough information to inform you in a way that you could go on and look up other resources and feel like you have a good basic grasp on the subject. It is a fantastic book. I particularly like how Unwin incorporates so many graphics to visually illustrate the points he is trying to make. 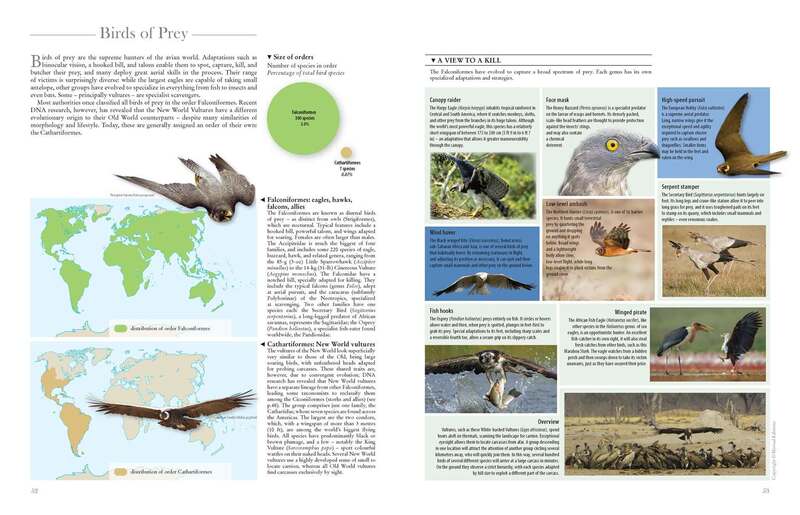 This is a rich overview of birdlife worldwide, an authoritative text enhanced by hundreds of excellent color photographs and scores of informative, attractive maps as well as sidebars and tables that synthesize a great deal of data in a small space. Its vast coverage and succinct, accurate summarizations of important data make it an indispensable reference. This beautiful, informative resource is highly recommended. This is a superb book on the biology of birds with a strong conservation theme that highlights the leadership programs of BirdLife International. The design and layouts are creative, attractive, and engaging, and neat factoids and statistics richly punctuate the entire book. Rarely have I seen a book of this caliber. I recommend it highly.